What’s behind this booze bonanza? One factor is market demand for drinking and eating local wares. Distillers of rum, gin, vodka, whiskey and other spirits are in step with the farm-to-table trend, or in this case field-to-bottle concept. 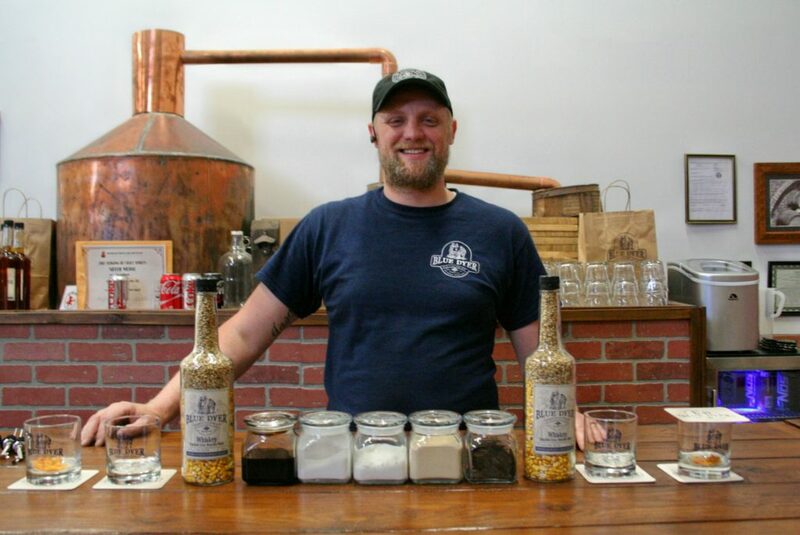 They blend together fresh ingredients such as sweet Maryland corn, grains from Northern Neck and Eastern Shore fields, and water filtered naturally through limestone springs. 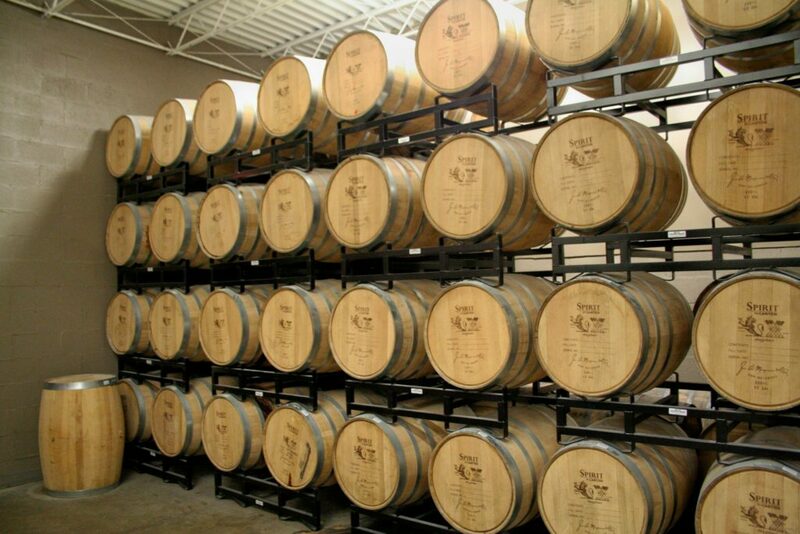 As a result, a diverse spectrum of local liquor is infused with rich taste profiles. The local libation escalation is also in sync with the trend in craft cocktails that prompts restaurants to hand out house specialty drink lists along with food menus. To create unique recipes, bartenders are combing their home turf for local spirits and ingredients. 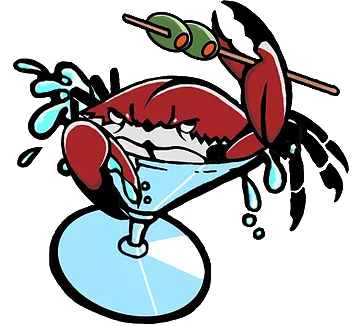 In every corner of the Chesapeake, booze makers and tumbler shakers are teaming up to design idyllic regional pairings of homegrown liquor with Bay crabs, oysters and seafood. This eruption of local craft distilleries might seem new and spontaneous, but it’s been fermenting in the Chesapeake region for centuries. Early settlers in Jamestown and other outposts made ale and spirits from fruit, berries, grain, vegetables and whatever was on hand. When a British missionary in Virginia named Captain James Thorpe received corn as a gift from local Indians, he made a potent drink from its mash. Unfortunately on a festive evening in 1622, Thorpe and a feisty bunch of his indigenous friends consumed so much of the intoxicating elixir that they got drunk, then scalped and killed him. Around the same time, a more prudent colonist named George Thorpe distilled the first batch of whiskey from Virginia corn, becoming our founding father of whiskey and moonshine. In the late 1700s, along came thirsty Scots-Irish and German immigrants with recipes and know-how for the distilling process. While corn suited some of them, many preferred grains like rye, which grew heartily in the region and would be converted to the celebrated Maryland rye whiskey. In the 1800s, rum filled Chesapeake seaside taverns and became the first American liquor made in large quantities, thanks to imports of sugar and molasses from the West Indies. During the dark years of Prohibition, Chesapeake distilling took a hit. Some people embraced a respite from rum. Others decided to fight for their right to party. The Bay’s 11,600 miles of shoreline – with all its remote coves and inlets – was a perfect setting for a cat-and-mouse game with Prohibition officers. Hundreds of moonshine stills appeared around the region, and white lightning and other liquors were secretly cooked in the countryside. It’s rumored that more than half of the Bay’s population joined the moonshine gold rush during Prohibition. Even though Prohibition was the law of the land, America was divided over alcohol, and the differences were clearly illustrated in the Bay’s border states. Virginia went dry in 1916 and outlawed liquor sales four years before the rest of the country. Maryland took a different stance. When Congress tried to impose anti-alcohol rules, Marylanders replied with a collective cry, “Mind your own business.” It was the only state that refused to ratify Prohibition or allocate funds to enforce the new laws. Sadly, the Fed’s persistence won out and America’s third largest producer of rye whiskey eventually had to turn off its stills. Many Maryland distilleries were converted to ethanol plants during World War II and the remainder shuttered from a depleted customer base. Good news for our taste buds! A new generation of distillers has stepped up to the plate with a diverse array of local craft liquors, using high-quality ingredients and savvy market branding to revive boozy traditions of the Bay’s glory days. History buffs relish the way prominent figures and significant events from the past are resurrected to showcase the Chesapeake’s liquor legacy. 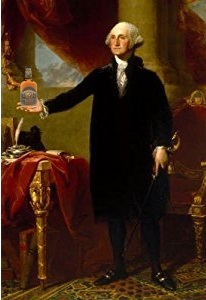 After leaving office, our first president ran one of the biggest whiskey distilleries in 18th century America. George Washington’s Mount Vernon estate was an ideal location with fresh water from the Potomac, a variety of grains and a grist mill already in place. In 2009, the old distillery was restored and is now yielding about 1,200 gallons or almost 5,000 bottles of unaged whiskey each year. In 1862, two iron-fortified ships met off the shore of Newport News, VA. The USS Monitor and CSS Virginia (aka Merrimack) fought for hours at close range trying to penetrate their enemy’s heavy metal cladding, but neither ship sank during this momentous Civil War engagement. In 2015, a distillery opened in a historic warehouse overlooking the site and used the name Iron Clad Distillery to commemorate the maritime event. Printed on the labels of its small-batch bourbon whiskey is the newspaper headline that ran the day after the battle. The Chesapeake distillery renaissance is also attracting entrepreneurs who work in other industries but find the rise in local spirits hard to resist. Along with these liquor greenhorns come valuable outside perspectives and innovative approaches to the booze biz. Many grew up in the Bay area and are motivated by hometown pride and a sentimental feel for regional traditions. Kevin Plank, owner of Under Armour sports apparel, has jumped on the whiskey distilling bandwagon with unbridled enthusiasm. 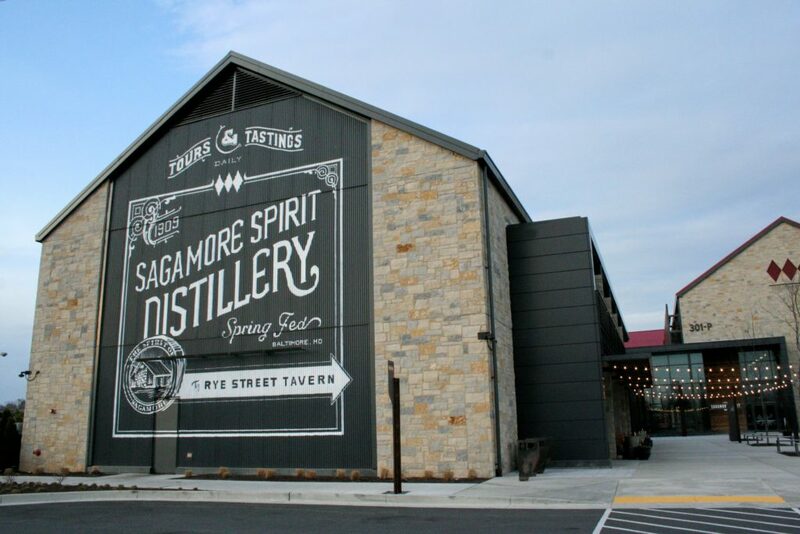 This April, the Baltimore native opened a spacious four-building campus in Port Covington, MD, to distill and display his throwback Maryland rye whiskey, Sagamore Spirit. The whiskey’s name comes from Sagamore Farm where Plank raises thoroughbred horses and uses water from a natural spring filtered by limestone to perfect his whiskey’s flavor. Chesapeake history doesn’t need to appear on a grand scale to capture the new liquor distillers’ imagination. Many of them dip into their family recipe book or rekindle legends of bootlegging ancestors for inspiration. For example, pride in family traditions motivated Ryan Vierheller, owner of BlueDyer Distillery in Waldorf, MD, to leave the police force and start a spirits company. His great grandfather had shared stories and secrets about making hooch during Prohibition, and Vierheller salvaged the old moonshine still from a barn on the family farm. After tinkering with great granddaddy’s recipe, then adding his own chemistry theories and modern equipment, he started distilling rum and whiskey in 2016. The revived rum is so tasty that it won a silver medal at the 2017 American Distilling Institute competition. While it’s not a stretch to connect country music with hillbilly hooch, mixing these industries can result in a good stiff drink. When legendary Southern Rock performer Doc Holiday decided to craft old-school moonshine, he tapped into his rural roots and headed to the Virginia hills for distilling tips and traditions. He consulted with Loretta Lynn’s daughter – that would be the coal miner’s granddaughter – for authenticity. His “Butcher Holler” moonshine is double distilled in a copper vat from the 1930s and steeped in proud backwater tradition. 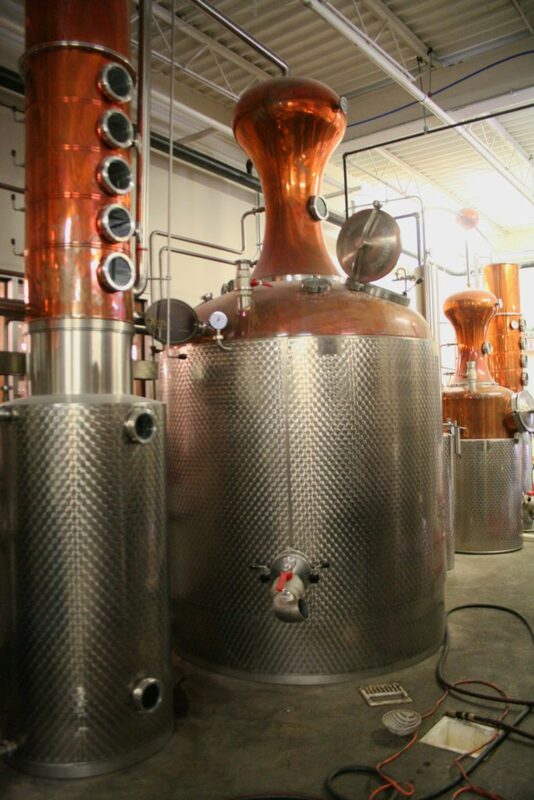 As you cruise around the Bay this summer, stop by and visit the local distilleries. In addition to tours of their facilities, many of them have tasting rooms, pubs or restaurants that encourage you to sample their wares. To find locations along your travel route, go to Virginia Distillers Association www.virginiaspirits.org/distilleries or Maryland Distillers Guild www.marylandspirits.org/distillery-map.